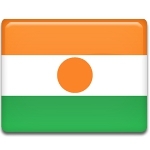 Concord Day is one of the twelve official public holidays recognized by the Government of Niger. It is celebrated annually on April 24. On this day, all government offices, educational institutions, and businesses are closed. Concord Day (Fête nationale de la Concorde or Journée nationale de la Concorde) commemorates the beginning of the end of the 1990 Tuareg rebellion. In 1990, Tuareg groups in Mali and Niger started the rebellion aimed at achieving autonomy or even establishing their own independent state. On April 24, 1995, the Government of Niger and the Organization of Armed Resistance signed a peace accord. Although the accord was signed only by some insurgent groups and the subsequent peace was uneasy, the anniversary of the peace agreement was declared a public holiday named National Day of Concord. Since 2009, the end of the 2007-2009 Tuareg Rebellion has been celebrated on this day as well. Concord Day is celebrated with political addresses by the country’s President and government officials, street festivals, and cultural and educational events. The events held on the occasion focuses on instilling in youth love of nation and cross-cultural peace.